Please join us in welcoming our newest Spa Team Member, Krista! 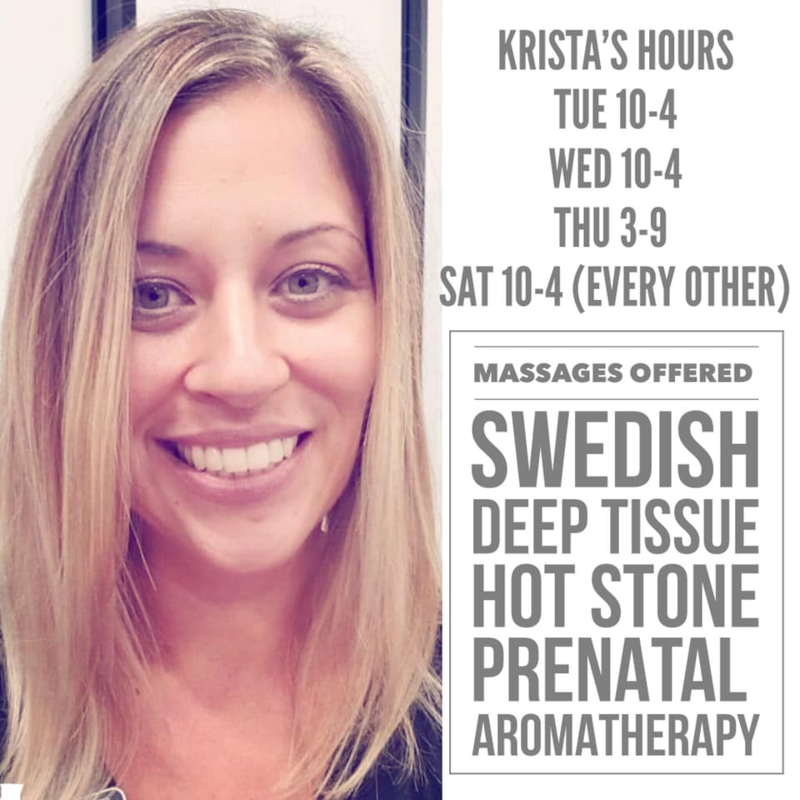 Krista is a talented Massage Therapist with 10 years of experience. She is offering a special for her new clients: 50% OFF any massage of your choice!! ? Offer ends February 14th.